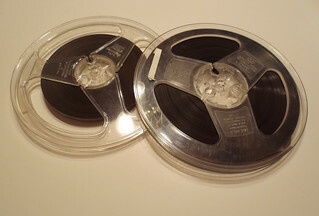 Earlier this year someone sent me several vintage audio tape reels. I had never crafted with this type of film tape before and was excited to give it a try. I figured the tape would be similar to vcr video tape or cassette tape when I crocheted with it. The tape from vcr and cassette tapes is strong and a bit stretchable. 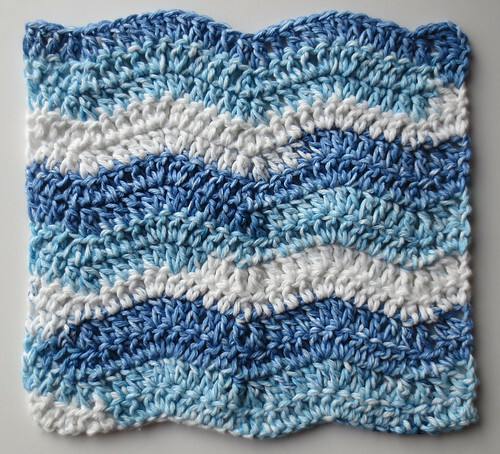 You can crochet and knit with the recycled material without it breaking very often. The material while strong is still flexible enough to create many different recycled video tape projects and cassette tape items. Unfortunately this was not the case with these old audio tapes. Here is a car wash mitt I crocheted using t-shirt yarn I recycled from several old white tee-shirts. I cut this t-yarn as narrow as I could to crochet this wash mitt. 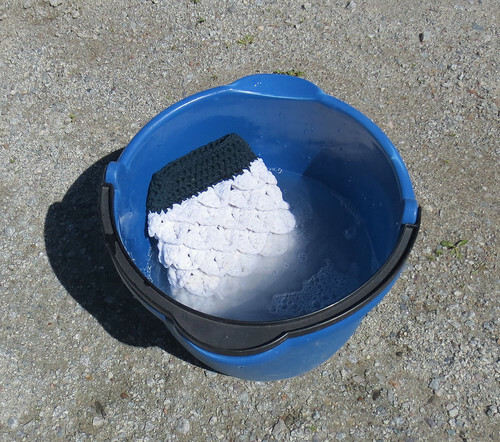 The result is a very thick wash mitt that you can use to scrub the car or other things you may need to clean. 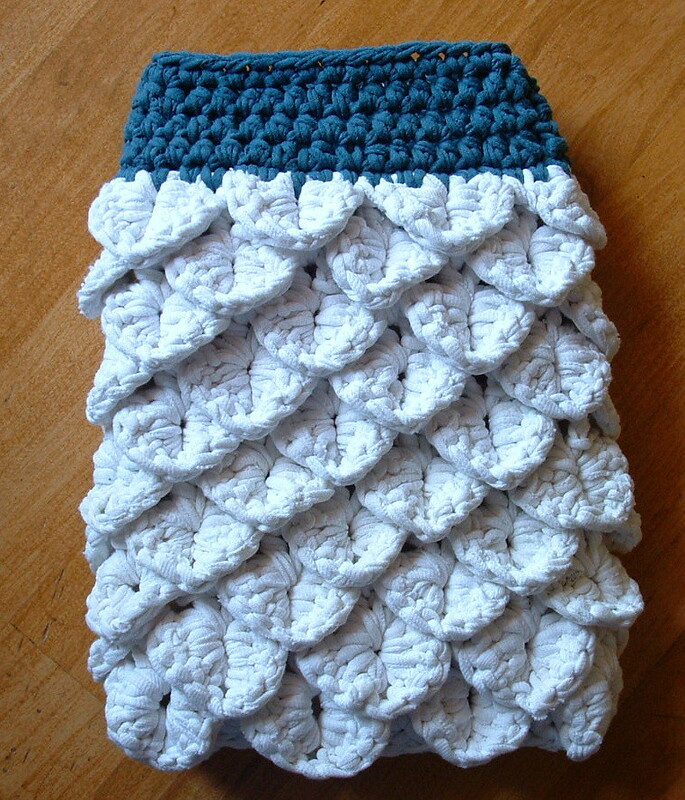 I crocheted the wash mitt using the crocodile oven mitt pattern as the base of the mitt. I changed the cuff portion of the pattern to finish off the wash mitt using a colored t-shirt cut just as thin as possible. Make sure you stretch your t-shirt strips to create curled t-shirt yarn. Crochet the cuff using the colored t-yarn to complete the project. I hope you enjoy this free crochet pattern and make yourself a cool recycled wash mitt from your old tee-shirts. 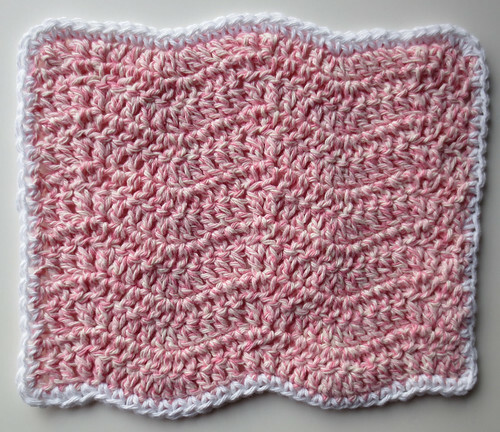 Finished crocheted wash mitt measures 7 inches wide by 9 inches long. The cuff portion is 1-3/4 inches long with a 4-1/4 inch wide opening. Crocodile Scale Stitch: Dc 5 stitches down first post of the 2-Dc base set, Ch 1, and then work 5 Dc up the 2nd Dc of the 2-Dc set.